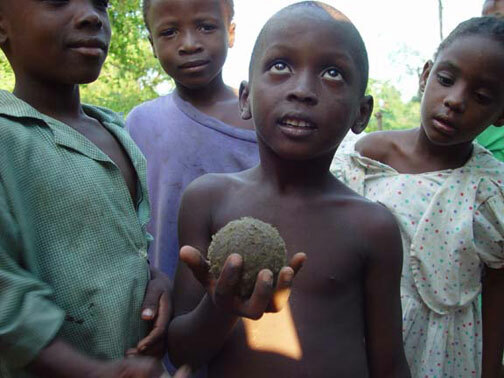 Haitian children with old tennis ball After a dozen years of annual trips to Haiti, hundreds of photos have followed me home from each visit. Of all the photos in my portfolio, this one of children from Reserve, Haiti with their tennis ball, stands out as the one that continually returns to my mind. This ragged gift ball from a previous visitor had seen many hours of play, but yet was their prize possession in a world of so very little else. That day I photographed several children playing where two dirt roads crossed, none were having more fun than these four friends.